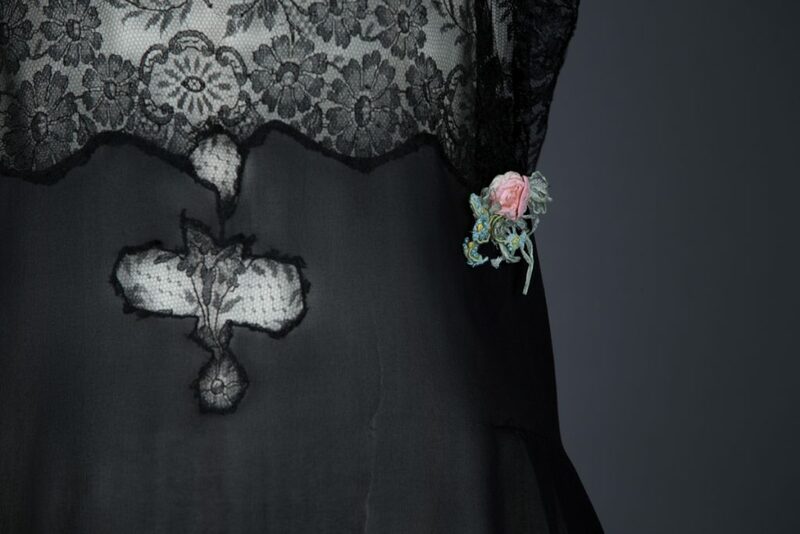 Another installment in our blog series ‘Favourite Things’, where we ask lingerie industry professionals to pick a favourite object from our collection. Today’s selection comes from Ayten Roberts of Ayten Gasson. Ayten Gasson is a luxury lingerie and sleepwear brand, specialising in fine silks and vintage Nottingham laces with all products hand made in the UK. 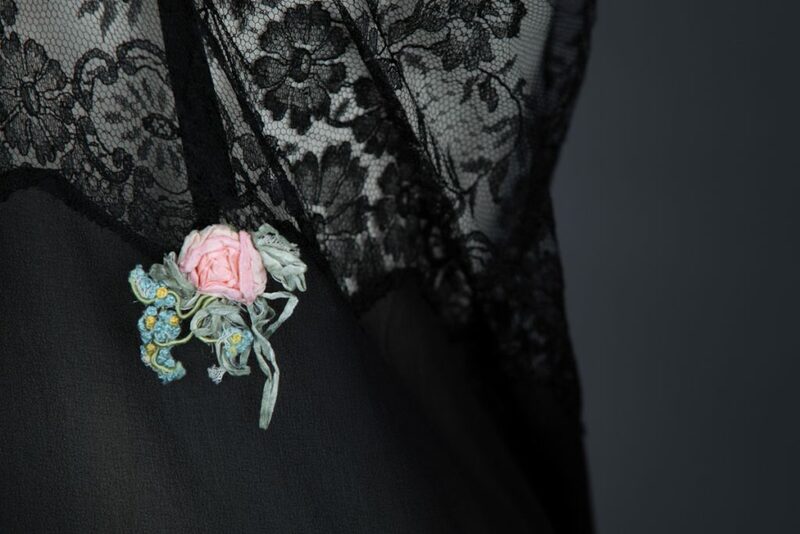 Black Silk & Lace Ribbonwork Step In, c. 1920s, USA. I frequently feature silk teddies and playsuits in my collections and find inspiration in the traditional sewing methods and detailing used in vintage nightwear. This teddy is one of my favourite pieces because of the attention to detail. The beautiful silk ribbon binding and carefully applied ribbon work is breathtakingly beautiful, especially when you think how time consuming these hand sewing techniques would have been in the 1920s. You can see Ayten Gasson’s lingerie designs here. If you had to choose a favourite piece from our online collection, what would it be?